Heart disease is the number one cause of death for women in the U.S., with more women than men dying of the disease each year. A recent presentation of study findings at the American Heart Association’s annual meeting noted that women are less likely to leave the hospital after a heart attack with recommendations for optimal follow up care. So, what can women do to improve their outcomes after a heart attack? In this situation, optimal care means that patients are sent home from the hospital with prescriptions for all the standard types of therapies that are appropriate for them. That can include referrals to a cardiac rehabilitation program, smoking cessation counseling, and prescriptions for appropriate blood pressure and cholesterol lowering medications and daily low-dose aspirin to lower the risk of a second heart attack. The researchers reviewed Medicare records for more than 49,000 men and women hospitalized as a result of a heart attack over a six-year period. They found that women were eight percent less likely to leave the hospital with prescriptions for optimal care than men. Significantly, they linked this sub-optimal care with a decrease in long-term survival. Within the three years following a heart attack, women who did not receive optimal care had a 23 percent higher risk of dying than men. When they received optimal care, they were just as likely as the men in the study to be alive three years after their heart attack. Do I need medication to lower my blood pressure, cholesterol levels or blood sugar? If so, have those medications been prescribed for me? 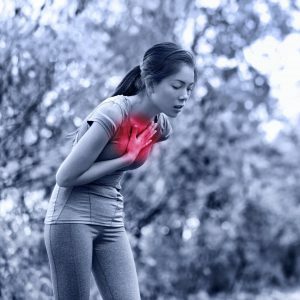 Are there medications, including over the counter drugs, or supplements that I should avoid because they increase my risk for another heart attack? Is low-dose aspirin therapy appropriate for me? Should I take part in a cardiac rehabilitation program and, if so, which program do you recommend? Are there any types of activities I should avoid during my recovery? How often should I see my cardiologist for follow up? What types of follow up tests do I need and how often? Are there lifestyle changes I should make to lower my risk, such as losing weight, exercise, changes in diet, and stress management? It can also be valuable to work with a cardiologist who has special expertise in treating women with heart disease. You can check with hospitals in your area to see if they have women’s heart specialist or work with a personal health advisor, who can connect you with experienced physicians in this specialty.